If a creature is in the command zone does the persistent effects still apply? How many instances of life gain? 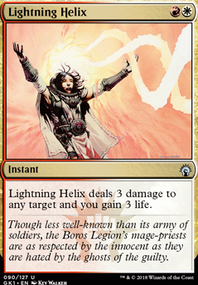 Red instant and sorcery spells you control have lifelink. 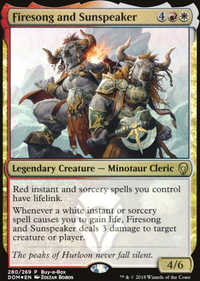 Whenever a white instant or sorcery spell causes you to gain life, Firesong and Sunspeaker deals 3 damage to target creature or player. When Earthquake is cast, the static ability of Firesong and Sunspeaker gives all red instant and sorcery spells lifelink. However, when Firesong and Sunspeaker are removed from the battlefield, their static ability no longer provides its effects due to Firesong and Sunspeaker no longer being on the battlefield (Rule 604.2). Therefore, Earthquake will no longer have lifelink. Earthquake will not have lifelink when it resolves. The first ability on Firesong and Sunspeaker is a static ability. That ability only applies as long as Firesong and Sunspeaker is on the battlefield. 604.2. Static abilities create continuous effects, some of which are prevention effects or replacement effects. These effects are active as long as the permanent with the ability remains on the battlefield and has the ability, or as long as the object with the ability remains in the appropriate zone, as described in rule 112.6. Firesong and Sunspeaker on the field, controller plays Earthquake , opponent responds by destroying FS/SS. 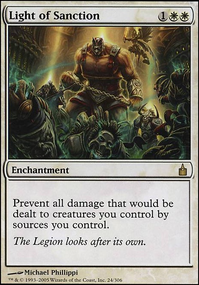 Does Quake still have Lifelink after the removal resolves? A cool thing about Mirrorwing Dragon is when an opponent casts a removal spell on it, it copies that for all of their creatures. Anax and Cymede and Twinflame are HUGE overperformers, but only if you run a few more creatures. Captain's Maneuver is underrated, and the Lapse of Certainty + Mistveil Plains + Sunforger combo is nothing to sneeze at. All in all, great list. 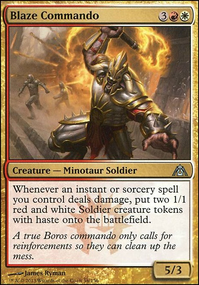 We’ve had some good luck with boros in Commander lately with Firesong and Sunspeaker , and I hope that we get more interesting commanders for the best worst guild in the sets to come. If you are winning 1/4 games, you are on par with the rest of the decks in your meta :). Either way though, tuning our decks is part of the fun and will make our playgroup improve as well. As for the other question, for me the cards that "aren't bad", but aren't great most of time, are the signals for weak links. Either I take those out in favour of cards that synergize, increase card advantage or make a pathway to, and support, my win condition... Or, if they are cards I want to focus on, I keep them in and remove others in place of cards that'll make the "aren't bad" cards great.. Of course it all depends :). I admit, I do not have much experience with STAXish or Control, and I'm still low on the learning curve. I do have some thoughts to share that I think can help :). I like to find a balance between flavour and function, cards that synergize and have the same "feel" while helping achieve more focus. The focus is a big step for a deck to take to get more wins. Coming up with some clear pathways to your wincons is important. If you don't have the $ to pickup the Demonic Tutor , Idyllic Tutor and Enlightened Tutor s, there are options like Insidious Dreams . I always look at scryfall.com for transmute cards that could work as well. 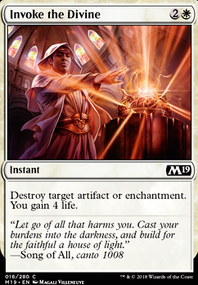 I just saw Brainspoil , it would be cheaper to activate than Diabolic Tutor . 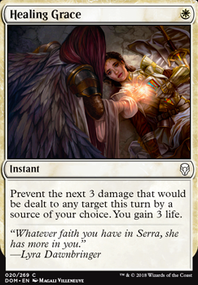 You would pay 3, discard it and go for any card that's 5 cmc, with special thought to either piece of your wincon. It'd also offer another removal in a pinch, or if your wincon is in hand. If the Blood-Bond combo is your win-con right now, I'd recommend adding in recursion to get them back if they're destroyed. Argivian Find for example. Monk Idealist is a good option if you want to be more creature based. Tragic Poet is slightly slower but lower cmc. Dawn to Dusk costs a little more but pulls double duty as enchantment removal. Open the Vaults could get them both on the battlefield if each are in the yard, and for cheaper than casting both from your hand - you could make getting them from your library to your yard and casting this one pathway to your wincon. I've heard of someone using Insidious Dreams to put combo cards on top of their library, then using something to mill themselves (blue is good at this) and casting an Open the Vaults type spell. 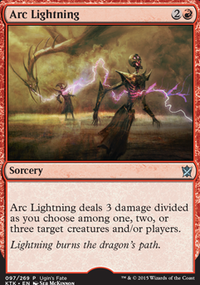 Either way you want to go, it'd be worth having at least two recursion spells to support your win-con. 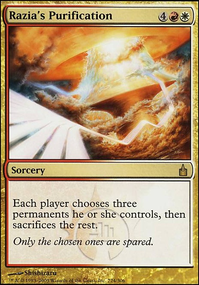 If you add that enchantment recursion, a Sunbond might work to good effect, synergizing with both your lifegain and counters, but also allowing you to beef up a creature for a big strike. Spirit Loop is fantastic on big strikers, if you find your getting one in 75-80% of games. It doubles up with lifelink. Underworld Coinsmith could be a nice flavour/function addition if you start leaning into the enchantment side a little more. 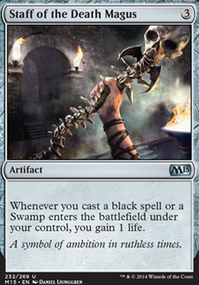 Basilisk Collar is a great value card giving some big creature deathtouch as one more disincentive for attacking you, while giving you another tool for lifegain when it's time to go on the attack. Imagine these on Defiant Bloodlord ?! Worn Powerstone could be a good addition to your mana-base, something the deck might need to be able to keep responding. Smothering Tithe is one that’s off flavour but could be what you need to help ramp. As Kaigz recommended, Dawn of Hope would go well and give you good card draw. Purity seems sweet. 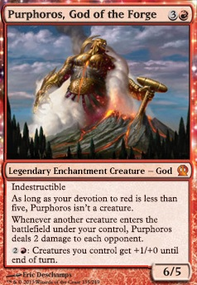 Do you have much red in your meta, enough to make this worth the slot and cmc? 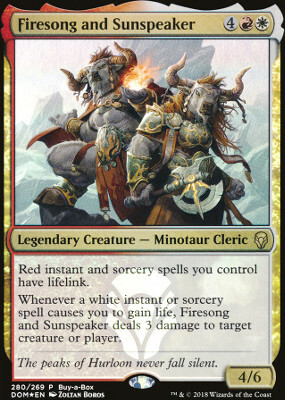 if so... Auriok Champion could swapped in for Soul's Attendant , 1 more, it has protection from red making it not just immune to red spells, but an invincible blocker against any creatures (meta dependent). Imp's Mischief is a powerful little "counterspell" that isn't a counterspell and it goes into the bucket of cards the teach people not to target you... This style of deck is a good place to take that strategy that punishes people for coming at you. Deathtouch and instant speed removals help with that as well. Suffer the Past is a fun flavour one I like especially because there's some graveyard based decks in my meta. It does graveyard removal while also acting as a Exsanguinate . Batwing Brume is a cheap$ fog for your colours that also fits the flavour. Here's some thoughts on cards to take out - of course this is from online review and opinion, I don't have the gameplay experience you have. Do you regularly have plenty of cards in hand to make the of Venser's Journal worth it? Pontiff of Blight I don't think there's good value between his cost and what he offers you. There's cards that'd do far more for you. I THINK cards like Night Terrors are better for much faster and competitive metas where you will know who is going to most likely be able to stop you from comboing off. Or in 1v1 games. I haven't found a place for those cards in semi-competitive group metas yet, and definitely wouldn't guess to see it fulfilling the cardslot's deserved value. It's a 1for1 trade off leaving you and the person you targeted one step behind your other opponents in card advantage. 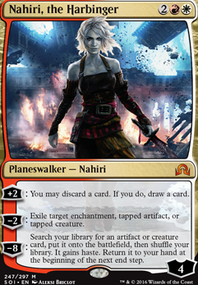 I DO see the times it could be fantastic, but it's one of those corner-case cards in the multiplayer slower style of EDH. 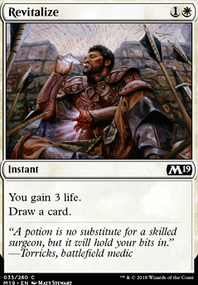 I feel like with the slow lifegain you have, I'd take Aetherflux Reservoir out until you consistently, after many, many games, find yourself getting to 90-100 life. 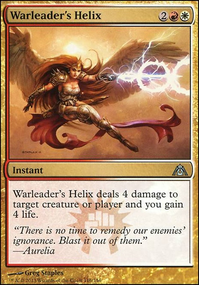 I understand it to be mainly good in Storm or in a deck with more explosive life gain, like Firesong and Sunspeaker , or one that uses lifelink or Spirit Loop on a giant voltron commander. I might, if this were my deck, take it out for cards that make your deck tick a little more, just for now. 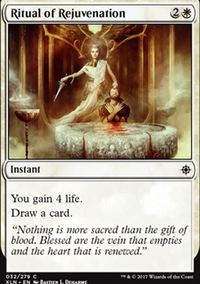 Then, if you are gaining plenty of life (multiples of 50) over many games or created strong pathways to get Exquisite Blood onto the battlefield, you will by then see what is worth taking out for this. Exquisite Blood and the Reservoir are pretty their own Blood-Bond combo, but you need to make sure you have that 55 or more life consistently. There are a lot of soldiers out there, but some of the must-haves I feel you're missing are Brimaz, King of Oreskos , Preeminent Captain , Evangel of Heliod , Nomads' Assembly , Launch the Fleet , and Deploy to the Front . High Sentinels of Arashin and Elite Scaleguard could also be very powerful, depending on how much +1/+1 counter stuff you plan on doing. If you're going to play the Earthquake deck, you might as well play Truefire Captain , Spitemare , and Boros Reckoner . I think the deck could also use some more "vegetables" cards. 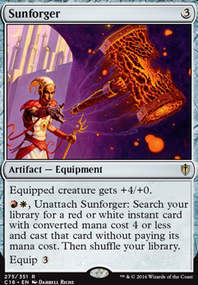 You should be running Boros Signet , at minimum, but Boros Keyrune , Boros Locket , Mind Stone , Sword of the Animist , and Knight of the White Orchid should probably be in the conversation, as well. Vandalblast , Aura of Silence , Crush Contraband , Return to Dust , etc. are all removal you might consider over the abundance of creature removal you have. 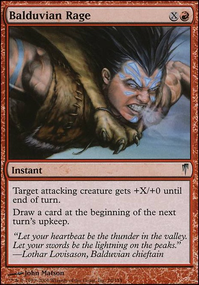 In terms of card draw, being tribal, you could look into Vanquisher's Banner could also do work. 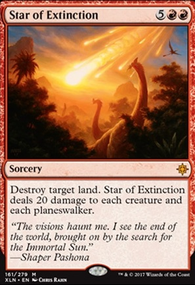 As for cuts, you shouldn't be running Evolving Wilds and Terramorphic Expanse in a 2-color deck. Ancient Amphitheater , Needle Spires , and even Stone Quarry are all strictly better without cards that care about land types or Landfall. The deck thinning is inconsequential in a 99-card deck, and you'd rather have the flexibility. Catapult Master, Hour of Devastation (you know it removes indestructible, right? ), Deafening Clarion, and Hammerfist Giant all seem pretty suspect to me, just on card quality. Rather than Deafening Clarion, Firesong and Sunspeaker seem better with the Earthquake theme. Yeah, sadly with mana costs they must entirely match the color of your commander. If something has a they are both color identities, not just the one you choose to pay. Meaning while, say, Firesong and Sunspeaker can run a spell with , Krenko cannot. Its a finicky rule that contrasts to what a mono-colored deck can be in other formats, I know. Of course, depending on how casual the playgroup is people can let it slide.